There are few better ways to really seep in a region’s cultural and visual beauties than with a road trip. Allowing travelers to explore a range of different areas, road trips are often unforgettable experiences. Due to the variety of different landscapes, sites, towns and cities in Canada, it is up there with the world’s best countries for road trips. British Columbia is a prime example of why. BC is of course a massive region however and it can therefore be hard to decide what to do and where to go when looking to enjoy BC. Here are a few places you should really consider visiting on a BC road trip. Including a trip down to ACT Adventures in Vancouver is a wise option for road trippers, whether they are adrenaline junkies or wildlife enthusiasts. Offering the experience of a lifetime, ACT Adventures provides small groups with a range of different Vancouver experiences. All you have to do is pick where you want to go and what you want to do and ACT Adventures will make the necessary arrangements and take you there. It is essentially an opportunity for you to do whatever you wish in Vancouver, from bungee jumping and ziplining to seeing waterfalls and camping amongst wild forest animals. Transportation, accommodations, guides, meals and more are included in the ACT Adventures package. Sometimes the best form of pleasure is simple relaxation and when such moments are mixed with wine – fine wine to be precise – feelings close to ecstasy can be produced. 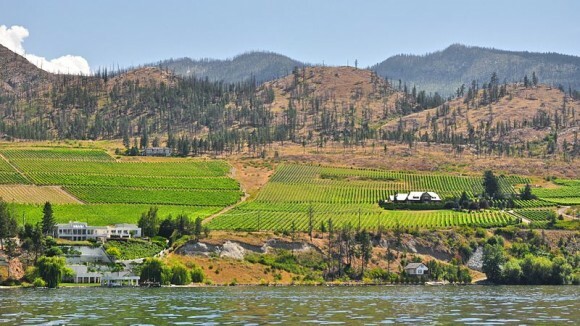 Kelowna’s Okanagan boasts a beautiful wine country and a Vines and Views Wine Tour will allow you to explore it with one of their knowledgeable guides. The Valley has award-winning wineries that you’ll be foolish not to enjoy. Daily tours are available and there are fantastic hotels in Kelowna for those seeking accommodation. Experience some of the most magnificent wildlife, grizzly bear viewing and whale watching in the world. Offering guests the opportunity to experience the Discovery Islands and Johnstone Strait’s natural wonders, Campbell River Whale Watching and Adventure Tours offer the ultimate wildlife experience. What’s superb about Campbell River Whale Watching and Adventure Tours is that their tour guides have an evident love and care for the wildlife that they work with. Based on the Discovery Harbour Marina, you’ll be wise to take a drive down to enjoy the Campbell River Whale Watching and Adventure Tours. After you’re done at the Campbell River Whale Watching and Adventure Tours, you should take a trip down to the nearby Discovery Marine Safaris. A world-class wildlife cruising experience, you can enjoy orca and humpback whales, pacific white-sided dolphins, black bears, sea lions, seals, porpoises and more. All can be viewed and gawped at in safety on Discovery Marine Safaris’ safe viewing platforms. There are few other places in the world with a more diverse selection of exotic sea creatures.